Blue darner dragonfly (Aeshna multicolor) in Three Rivers, California. AF-S F/2.8G ED Macro Lens and Nikon SB-600 Flash. 1/400 sec at F-32. Spot-Winged Glider (Pantala hymenaea) from a store window in Fashion Valley, San Diego County. 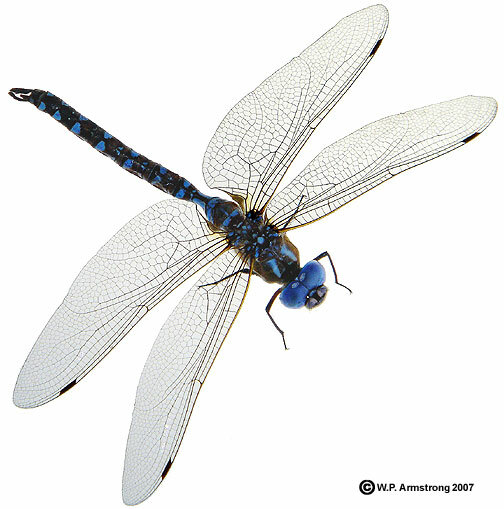 The following description is from Tim Manolis (Dragonflies and Damselfies of California, 2003): Two species in the genus Pantala (gliders) have realatively short, streamlined bodies and broad-based hind wings that are well-adapted for nearly effortless gliding. They can stay on the wing for hours, or even days, and are capable of transoceanic flights. 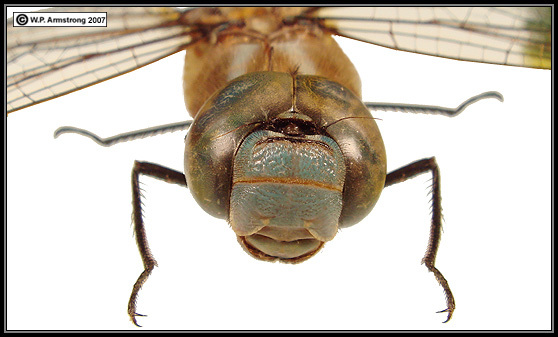 This species has a distinctive round spot at the posterior base of the hind wings. It is widely distributed in the western hemisphere from southern Canada to Chile. 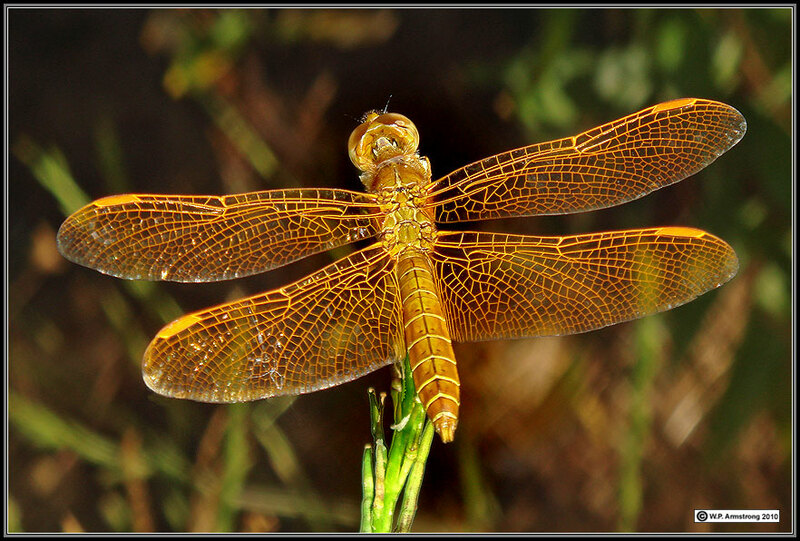 Spot-Winged Glider (Pantala hymenaea). 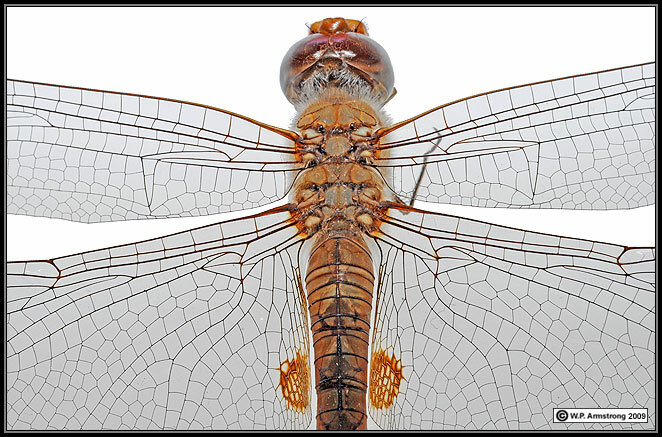 This species has a round, brownish-orange spot at the posterior base of each hind wing. 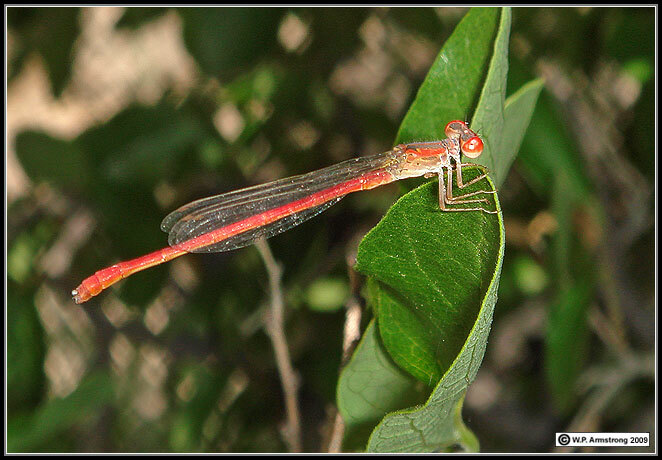 A red damselfly called "desert firetail" (Telebasis salva) on a hackberry leaf. 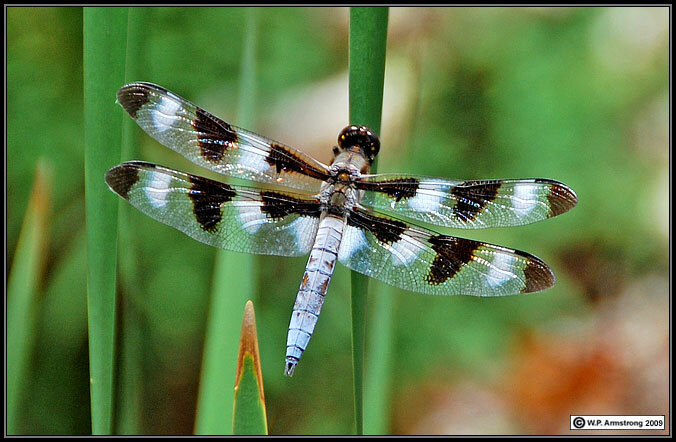 12-spotted skimmer (Libellula pulchella) at Red Rock State Park. Evans, A.V. 2007. Field Guide to Insects and Spiders of North America. Sterling Publishing Co., Inc. New York, N.Y.
Manolis, Tim. 2003. 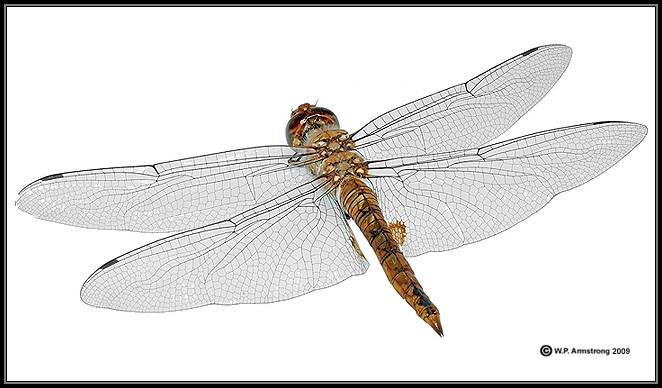 Dragonflies and Damselflies of California. University of California Press, Berkeley.